Canada’s landscape is so varied and beautiful, we can see why single travellers decide to explore this destination solo. Check out our escorted tours below, giving you a safe way to journey through Canada, and make new friends in the process. 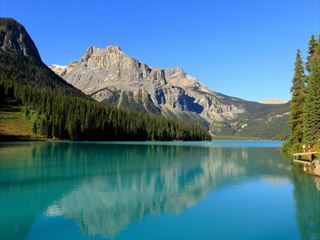 Explore the Canadian Rockies on this seven-day escorted tour, visiting Banff, Lake Louise, Jasper and Yoho National Parks along the way. An exhilarating and incredibly scenic tour with amazing experiences to enjoy. 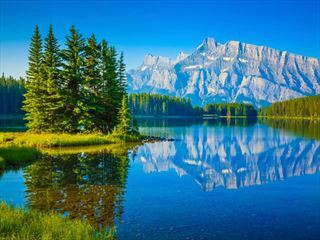 A nine-day escorted tour through the Canadian Rockies, including Banff, Vancouver, Victoria, Kamloops, Lake Louise, Jasper and Calgary. Experience the breath-taking beauty of one of Canada's most awe-inspiring areas. With singles holidays becoming more and more popular, we’ve selected a few Canadian tours that are perfect for those hoping to travel solo. Though we don’t offer dedicated trips for singles, the holidays below lend themselves perfectly for joining a group of likeminded travellers and exploring together.